Blended drinks are the most popular café item after coffee drinks. 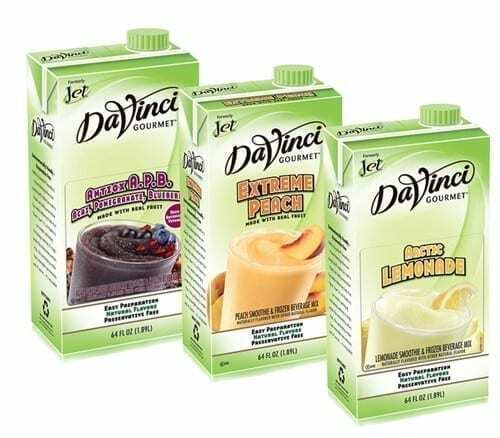 These decadent, creamy concoctions enhance your menu and provide another opportunity for you to create signature drinks for your business. 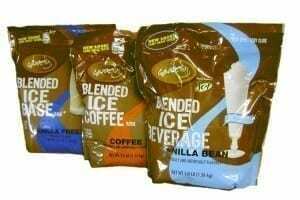 Our selection of frozen drink mixes is the best in the industry. We sample, blend, puree, whip and taste every ice blended drink mix on the market to ensure we offer you the best products available. 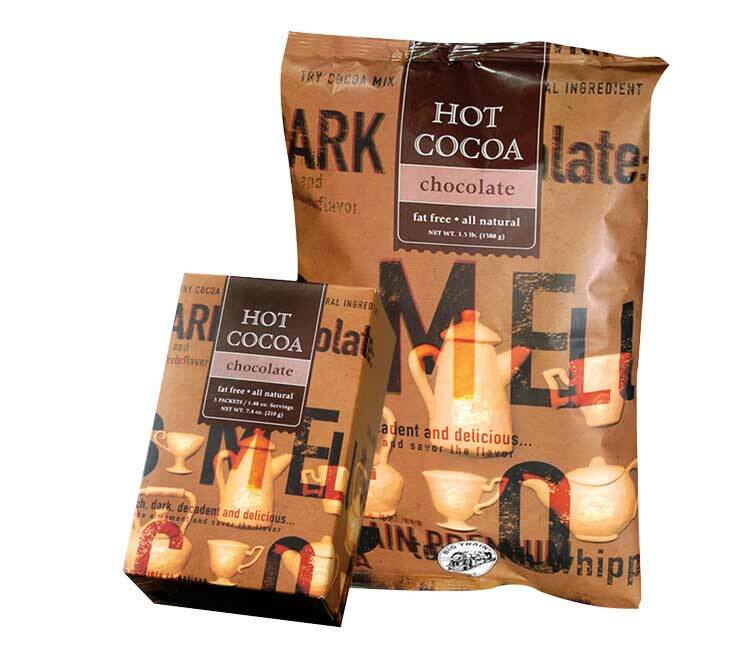 Fun, flavorful with tastes that satisfy any palette or diet, enjoyed any time of day or any time of year. We’ve done our homework and selected our favorite frozen drink mixes available, all prepared in house by our excellent Up Cafe staff. 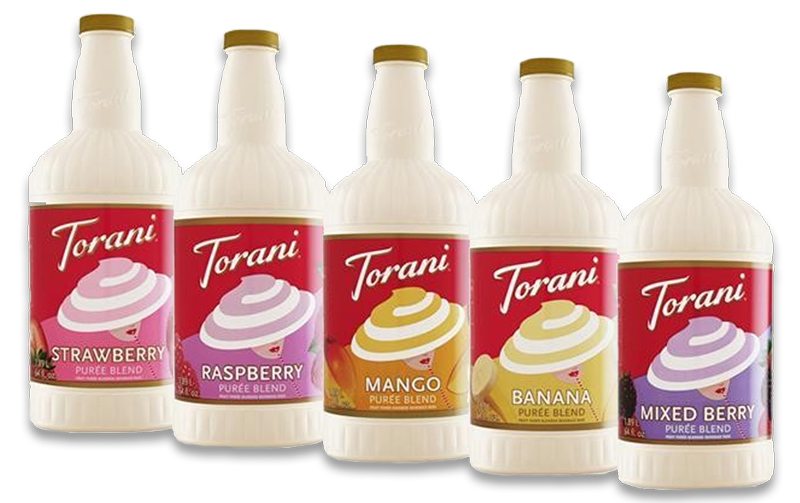 Below is a list of our current available blended drink mixes listed by brand. If you have pricing or further product questions, Contact Us. Founder Michael Rubin created the Original Cappuccine Frappe mix in 1991. Not satisfied with cold beverages served in coffeehouses, Michael saw an untapped market for a super premium, powdered frappe mix for blenders. His motivated then, as it is now, was to captures the bold coffeehouse flavors of authentic mochas and lattes in a refreshing blended beverage. Today, these irresistible drinks could not be more popular. Cappuccine leads the way with innovative flavor discoveries and an uncompromising passion for quality. The name Big Train was chosen by the founding partners in 1991, because it stood for a thriving enterprise that symbolizes strength and constant motion. Big Train has evolved to become a global food service and retail powerhouse brand. 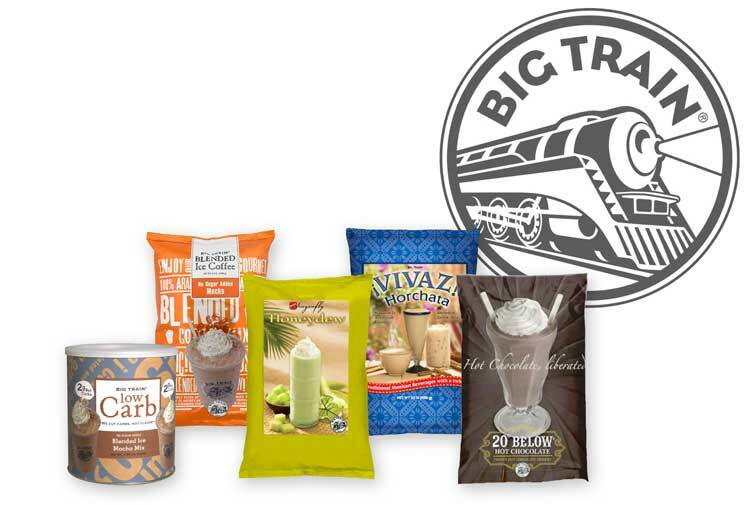 The food service market leader in blended ice coffee and chai beverage mixes, Big Train’s product portfolio now includes over 200 diverse products, the most complete in the industry. Big Train keeps moving forward, alwa ys in search of the next revolutionary drink that’s as delicious to drink as it is easy to prepare. 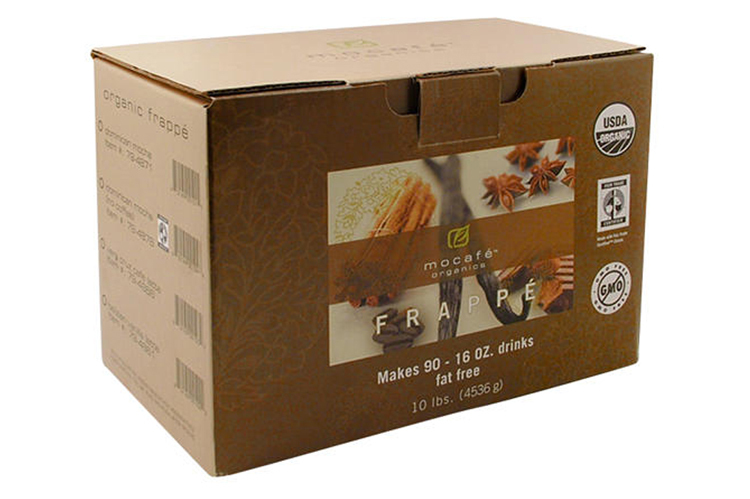 Headquartered in Irvine, California, Mocafé has been a leader in developing over 100 high quality, award winning, innovative cafe beverages that are used by professional baristas worldwide since 1996. 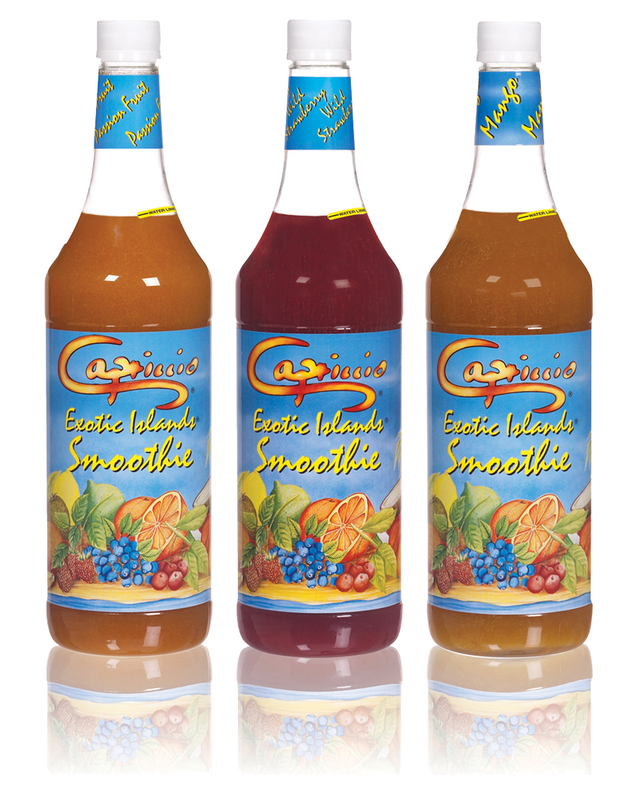 Cafe Essentials by Dr. Smoothie gourmet specialty beverages delivers bold taste that is incomparable. Every batch is cupped to assure the same great taste with every drink. 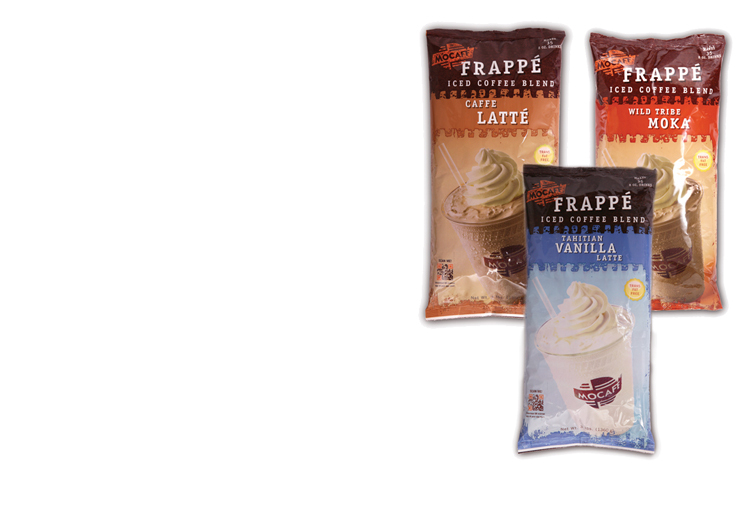 In 2001, maintaining the company mantra that “everything we do has a healthy twist,” Cafe Essentials introduced a frappe line with 15% to 25% less sugar and up to 50% less fat than the competition. Dr. Smoothie 100% crushed whole fruit smoothie purees are 100% real fruit, delivering over 5 servings of fruit per 20 oz. beverage. Their purees are 100% natural, fat free, lactose free, shelf stable – feature no artificial colors, flavors, or preservatives. 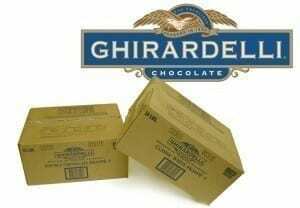 They are also enriched with vitamins and minerals, for your good health. When a 100% fruit and no sugar added smothie is your smoothie of choice, this is the premium pick of the litter. Made from fresh fruit with NO preservatives! 100% natural with neither artificial colors nor flavors. 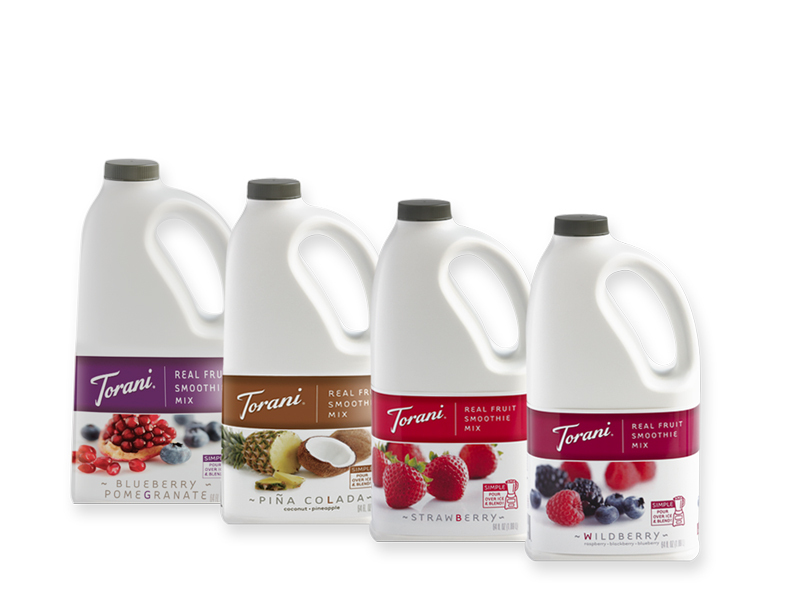 Torani’s Real Fruit Smoothies offer irresistible fresh, real fruit taste in a pour-and-blend format that couldn’t be easier to use. Now in an all-natural formula with no preservatives, no artificial colors, and no artificial flavors.